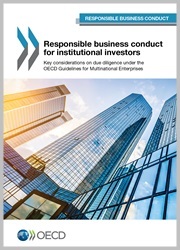 The OECD Guidelines are recommendations on responsible business conduct from more than 40 governments adhering to the Guidelines. 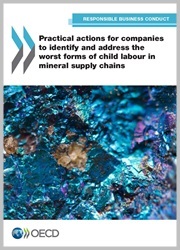 The purpose of the OECD Guidelines is twofold: to encourage the positive contributions that companies can make to economic, environmental and social progress and to minimise the adverse impacts arising from business-related activity. The high expectations to responsible conduct create a need for a common set of principles and recommendations to guide companies as well as other parties. The OECD Guidelines can be regarded as a framework that helps adjust expectations. At the end of the day, the purpose is to create a better foundation for sustainable global development. The OECD Guidelines were updated in 2011 to take into account the difficult issues that can arise for companies operating in a global economy. The preface to the Guidelines briefly describes the background and the most important updates, including the new chapter on human rights. The OECD Due Diligence Guidances by sector gives advice and insight into the individual challenges each sector faces. OECD’s official website contains published material including reports, analyses, and overview over cases. The UN Global Compact is the UN’s corporate sustainability initiative. Other than the OECD guidelines, the UN sets up some expectations on businesses. These can be found in the UN Guiding Principles on Business and Human Rights. PRI is an UN-supported international network of investors that aim to incorporate environmental, social and governance issues into investment decisions. ISO 26000 is an international standard for social responsibility which clarify what social responsibility is and helps to translate principles into actions.